In the Middle East, new July PP and PE announcements were mostly announced with decreases, in line with previous market expectations, according to ChemOrbis. The only exception to this was a major Saudi Arabian producer’s PE prices that they announced in their own local market. A major Saudi Arabian producer cut their July PP raffia and injection prices by SAR112/ton ($30/ton) from June while they issued rollovers on their July HDPE and LDPE film prices and lifted up their HDPE blow moulding prices by of SAR236/ton ($63/ton). 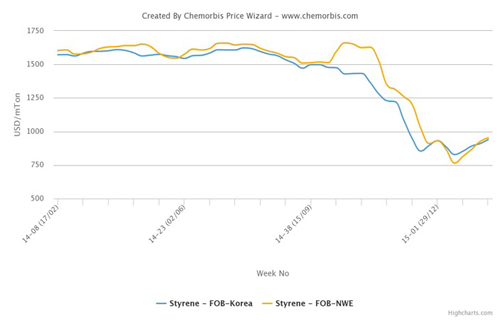 Apart from these, the producer lowered their July LLDPE film prices by SAR113/ton ($30/ton). In Lebanon, a converter commented that they received $40/ton declines for PP. He noted that they are trying to negotiate down these levels while adding that players in general are acting cautiously given their expectations of further decreases in the days ahead. “Demand is moderate and traders are open to negotiations for up to $10/ton discounts, but buyers remain cautious,” he further added. 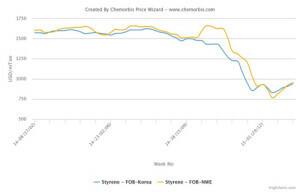 A household products manufacturer reported receiving new July PE offers from two different Middle Eastern producers with decreases ranging between $10-60/ton from June as per ChemOrbis pricing service. “The offers we received from a major Saudi producer are the initial list prices and we believe that they are subject to negotiation. Buyers appear to be starting to build up some stocks. But they do it in moderation as they do not want to enter the Ramadan holiday without inventory. Regarding availability, players make no complaints at all,” he added.